Welcome to Atelier. What was once a Tobacco Warehouse in the early 1900’s, has now been transformed into a beautiful loft apartment community, meshing historic charm with sleek modern design. Ideally located at the thriving Northern edge of Milwaukee’s Historic Third Ward, our community is designed for residents with discerning taste. 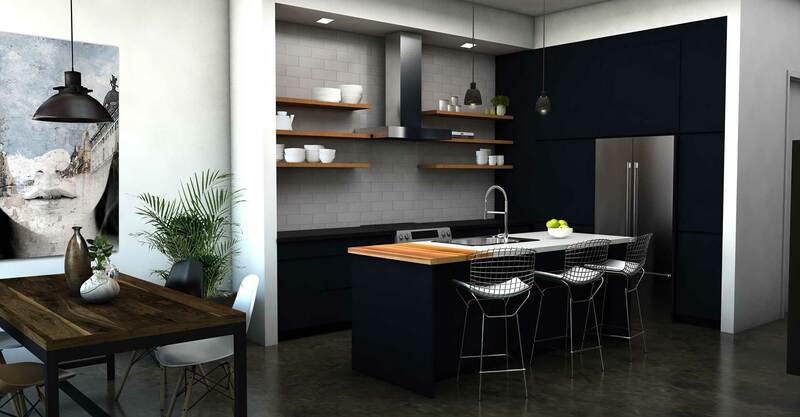 Atelier’s carefully thought-out designer finishes, including custom kitchens, luxurious bathrooms, and condo level appliance packages, rival any multifamily building in the city of Milwaukee. Come experience true loft apartment living in Milwaukee’s most desirable neighborhood. You will absolutely love the vast array of apartment amenities available at Atelier. Experience the impeccable craftsmanship of the fully customized modern kitchens featuring quartz & granite countertops and custom islands with built-in butcher blocks. Take a look at the custom bathrooms with floor-to-ceiling glass shower enclosures along with modern soaking tub. Nothing has been overlooked, not even the custom wet bar with built-in mini fridge. Want even more luxury, ask about our exclusive penthouse residences. Enjoy all of this along with easy highway access. ONE AND TWO BEDROOMS AVAILABLE! When you call Atelier Third Ward home you’ll find yourself in Milwaukee’s Arts and Fashion District. Here you’ll find the city’s most dynamic array of restaurants, spas, theaters, galleries, and unique boutiques all in a historic warehouse setting. 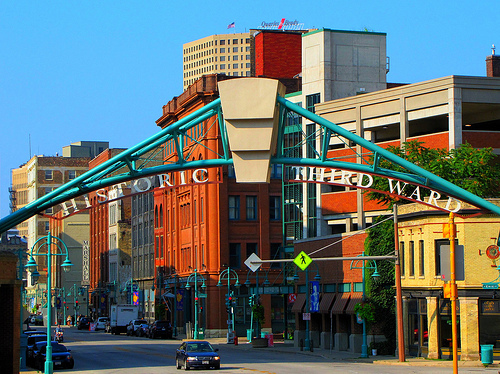 The neighborhood is home to the award-winning Third Ward Riverwalk and the nationally-acclaimed Milwaukee Public Market. 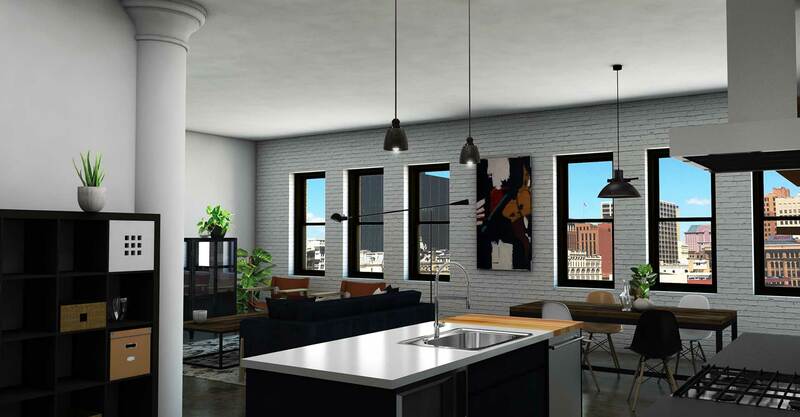 While there are many luxury apartments for rent in the Third Ward District of Milwaukee, Atelier Third Ward Luxury Loft’s prime location, premium apartment features and unrivaled property management team will help make your decision easy! 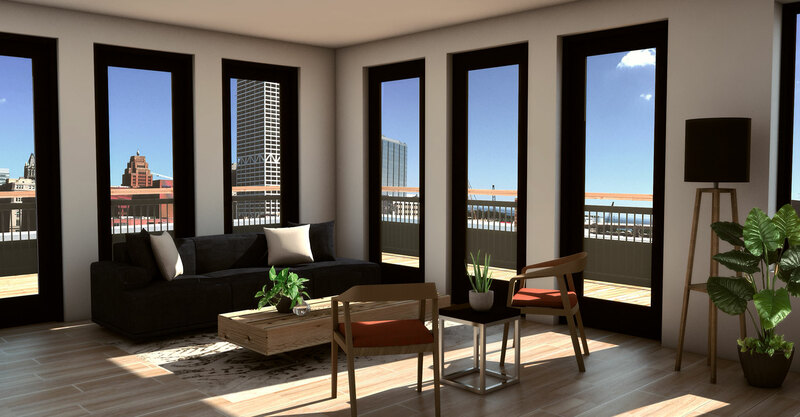 If you would like to learn more about luxury loft living in Milwaukee we invite you to come and share the experience of Atelier Third Ward Lofts and invite you on a personalized grand tour. First, Which Floor Do You Prefer? Select the floor you desire and then view each floor plan layout until you find the perfect place to call home! If you would would like to find your apartment home you can choose to view by studio, one bedroom, and two bedroom homes.